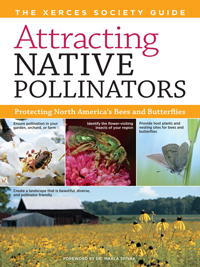 Pollinators and Pollination explains the value of pollinators, and includes informative chapters on the natural history and habitat needs of bees, butterflies, flies, beetles, and wasps. Taking Action provides comprehensive information on ways to help pollinators and on creating nest sites and safe foraging areas. It includes guidance on conserving pollinators in all kinds of landscapes: gardens, natural areas, farms, recreation land, even ecoroofs. Bees of North America provides help with identifying the more abundant and important bee species, and supplies detailed profiles of more than thirty commonly encountered genera. Creating a Pollinator-Friendly Landscape shows how various kinds of land, including urban gardens, suburban parks, and farms, can be enhanced to support diverse pollinator populations. Sample planting designs and fifty pages of illustrated plant lists facilitate selection of the best plants for any region.